I don’t know about you lovelies, but I am so ready for March to be over. It’s been such a dreary, freezing month, and I’m desperately hoping April will bring some warmer weather. I woke up to five inches of snow yesterday, and I am DONE with the cold. I’m desperate for the weather to become nice enough to wear flats and dresses, or even to leave my apartment without a coat! Happy Saturday, readerkins! Start off the weekend right with five literary links from the last week. 1. Amy Poehler will serve as honorary chairwoman for World Book Night 2014! Her cool points are off the charts, and this makes me love her even more. 2. Alice Munro was honored with a commemorative Canadian coin to celebrate her being the first Canadian to win the Nobel in literature. Although it’s a silver five dollar coin, this limited edition coin is being sold for $69.99. I don’t entirely get the concept of special “coins” that cost exponentially more than they are worth, but it’s cool that Munro is being honored. 3. Reed Exhibitions announced BookCon, a show within a show that will take place on the last day of BEA. Replacing Power Reader Day, BookCon will appeal to a younger, non-trade demographic. This will be my first year attending BEA, so I can’t compare BookCon to Power Readers Day, but I’m looking forward to seeing how this plays out — especially since Amy Poehler will be speaking! 4. Verso Books announced that they are now selling ebook/paper book bundles on their website. I’m so excited that someone is finally doing this! Bundles are the future, and it will be interesting to see how Verso handles it. 5. A judge announced two new rulings in the Apple ebook price-fixing case. She granted class action status and rejected two of Apple’s expert witnesses for trial. I don’t have too many thoughts on this, but it’s a nice update — and it will certainly be nice for customers to receive damages if (when) Apple loses. After years of struggling in the New York art world, seeing her work dismissed or ignored, Harriet “Harry” Burden is full of rage. She is tired of being sidelined, viewed not as an artist in her own right, but merely as the wife of her famous art-dealing husband. 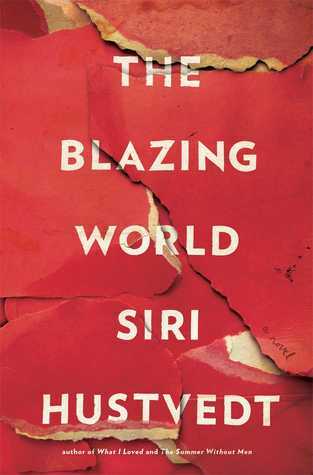 In middle age, she decides to create her most ambitious work yet — a work that will reveal both her own genius and the prejudices of the art world. 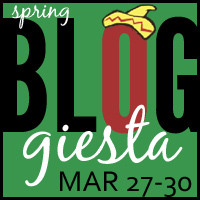 Happy Bloggiesta everyone! From yesterday through Sunday bloggers all over the world are taking part in a blogging fiesta. (I’m a bit late to the party) We’re catching up on posts, doing blog maintenance, and participating in blog-improvement challenges. I’ve been a major slacker on some aspects of my blog, so I’m glad it’s time for the blogging marathon! It’s a great event to make me do the little things I never feel like doing, and I hope to learn some fantastic blogging tips along the way. The last few months have been a bit odd for me, reading-wise. Even though my page count hasn’t dropped off, I have felt like I’m in a reading slump. Don’t get me wrong, I have read some books that I’ve really loved, but I’ve also struggled through a few books that I couldn’t quite get into. Objectively, I can tell that these are very good books, and yet… reading them feels like a chore. Despite my reading resolution at the beginning of the year, review copies have taken over nearly half of my reading, and it’s kind of bringing me down. I have so many books on my shelf that I want to read, backlist titles and classics I want to buy, and new releases that I didn’t review but that I’ve heard great things about… and I don’t have time to read them. My reading is scheduled through May, and I miss the serendipity of browsing in a bookstore, buying a book, and reading it immediately. This week for Top Ten Tuesday, the folks over at The Broke and the Bookish ask bloggers to list the top ten things on our bookish bucket lists! This is a super fun topic, and there are so many ways to approach it: books that I have to read before I die, literary locations I want to visit, bookish things I want to do… and since I’m terrible at making decisions (no, really, ask Tom. I CAN’T do it. ), I’m going to do a list a few of each of these! I am a huge scaredy-pants. As a kid, I changed the channel as soon as Are You Afraid of the Dark came on TV. I steered clear away from the Goosebumps books at the library. In jr. high, I shook violently all through The Ring 2. When my friends decided to watch Saw at a high school sleepover, I spent most of the next two hours with my head under a blanket. For the next week, I slept with a night light. I scare easily, and I don’t like being scared. 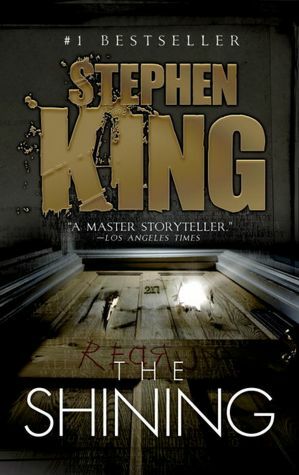 For this reason, I’ve never read a horror novel. Happy Friday readerkins! Start off your weekend with five literary news stories from the last week. 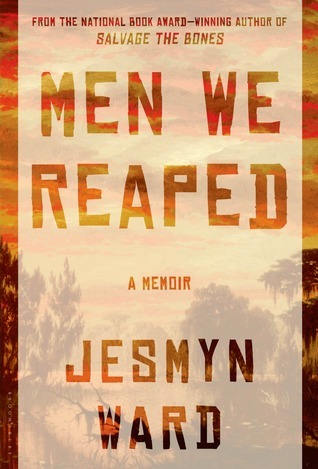 In four years, Jesmyn Ward lost five young men she cared deeply about. On the surface, these men, including her brother, died from drug overdose, homicide, suicide, and car crashes. However, in her struggle to make sense of these deaths, Ward sees a deeper cause. These men died because they were male and Southern and Black*. In her memoir, Ward tells the story of her family, memorializes the men she lost, and seeks insight into their deaths.